The Workshop has been a success, with 78 participants from 16 different countries on 5 continents. SUMMARY of the Workshop and PDFs of ALL PRESENTATIONS & POSTERS are now available. Final Agenda with detailed program and List of Attendees. Main campus of Sant'Anna School for Advanced Studies (venue: Aula Magna room), located in Piazza Martiri della Libertà 33, in the historical center of Pisa (300 m from Piazza dei Miracoli, Duomo and Leaning Tower). the need to disseminate (and build on) the experience being gained in the current COASTALT (funded by ESA) and PISTACH (funded by CNES) Projects. 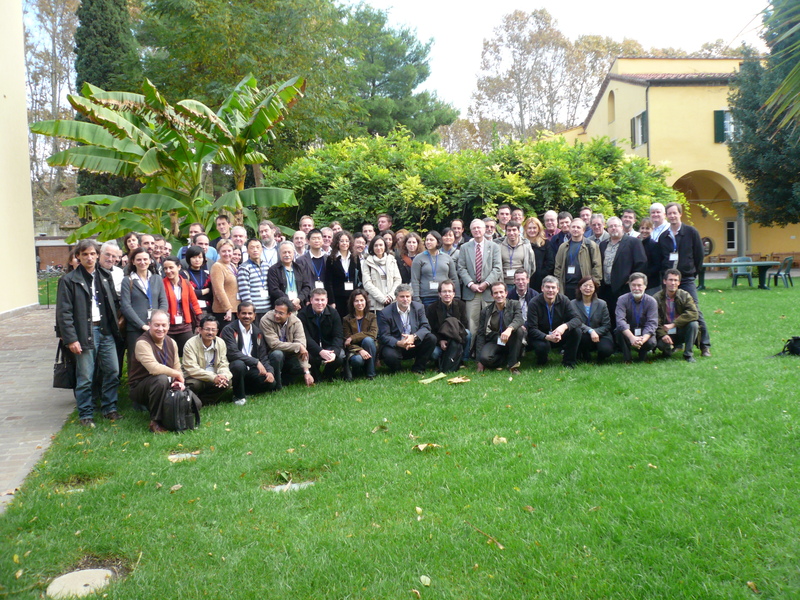 Both COASTALT and PISTACH will have their progress meetings beforehand (the COASTALT progress meeting is scheduled to take place in Pisa on the previous day, Nov 5th, 2008), and their findings and results will be presented in detail to the scientific community at the workshop. the need to summarize the results of past projects like ALTICORE, which will have concluded at the time of the workshop. Note that this Second Coastal Altimetry Workshop is held at the end of the week preceding the joint OSTST/IDS/GODAE symposium in Nice, France (10-15 November) so that delegates can conveniently attend both events (Nice is not far from Pisa, and travel is possible also by train via Genoa). This two-day workshop will examine the challenges of working and operating in the coastal area with satellite altimetry, review progress since the US workshop and in the PISTACH and COASTALT framework, identify new issues and new solutions and generally provide a forum for exchanging ideas, best-practices, lesson learned etc. One expected outcome will be a list of recommendations to be submitted to OSTST in Nice. The workshop is organised into sessions around a specific topic. Participants are also encouraged to break into splinter groups around a common topic of interest as detailed below. Moderators are responsible for organizing the sessions and coordinating splinter groups. Each session should include introduction/review papers (specific applications should be collated and summarized where possible) with time for questions and an open discussion on the issues raised. Splinter groups will meet during breaks and will prepare presentations during the splinter session in the afternoon of the second day. There will be then a plenary session where the moderators report back to the workshop as a whole on the results of their groups, with plenary discussion following discussion. Results will be used as a basis for the list of recommendations to be presented at OSTST . Please see the final version of the agenda with detailed program (31 Oct). Paolo Cipollini - National Oceanography Centre, Southampton, U.K. There is no fee for the workshop, but confirmation of attendance is required by 30 October. Attendants are expected to cover their own travel, lodging and accommodation costs. 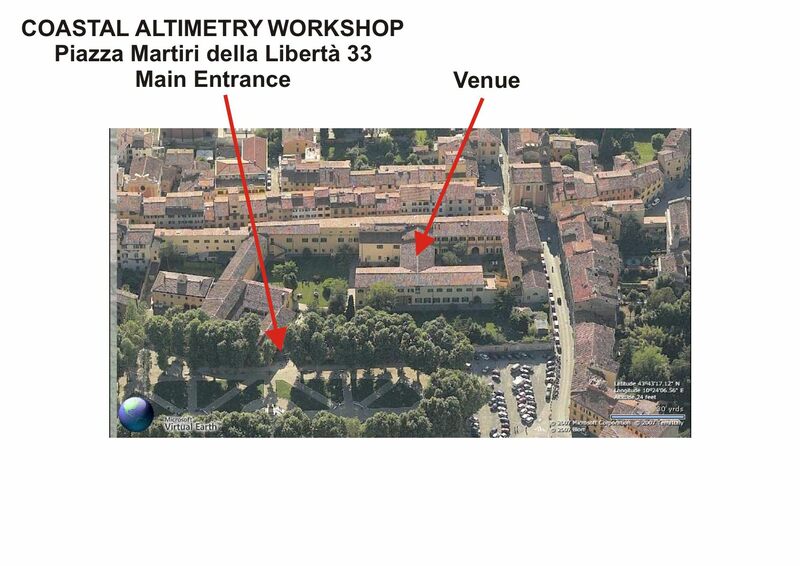 The workshop is open to all those interested in coastal altimetry. Persons wishing to attend the workshop should send an e-mail to Stefano Vignudelli (vignudelli@pi.ibf.cnr.it) submitting their name, organization, contact along with a brief statement of interest relevant to the workshop. Here is a list of hotels.